COLUMBIA, S.C. (AP) Gov. Nikki Haley released a budget proposal Jan. 15 for the coming fiscal year that provides roughly $350 million for roadwork and $300 million on education initiatives. Her roughly $7.5 billion recommendation for state taxes comes in a year when there's more than $1 billion in additional revenue available to spend. Most of the windfall stems from years of conservative estimates by the state's economic advisers and carried-over surpluses. Haley's budget incorporates her plan for fixing South Carolina's crumbling roads and bridges. Last year, Haley altered her opposition to a gas tax increase, agreeing to raise the tax by 10 cents over three years — to 26 cents per gallon — if legislators drastically cut income taxes over 10 years. But legislators balked at the stipulation of eliminating nearly $9 billion of revenue over the next decade. Haley said Jan. 15 her budget shows it can be done. It cuts income taxes by $131 million. According to economic advisers, her goal of cutting the top income tax bracket by 2 percentage points would reduce revenue by $1.8 billion yearly once fully phased in. The $345 million her budget designates for roadwork includes $49 million from that phased-in gas tax increase. The DOT has said it needs an additional $1.5 billion annually over two decades to bring the highway system to good condition, though many dispute that amount. A bill to raise roughly half that is up for debate in the Senate. Haley repeated her threat to veto any road-funding bill that's a net tax increase. Haley's budget provides $124 million to cover the state's share for federal assistance amid last October's catastrophic flooding. Of that, $49 million is the DOT's share for repairing hundreds of roads and bridges closed during the disaster. It also includes $10 million to reimburse the state's unclaimed property fund. Haley approved transferring that amount to the Emergency Management Division in November for its share. 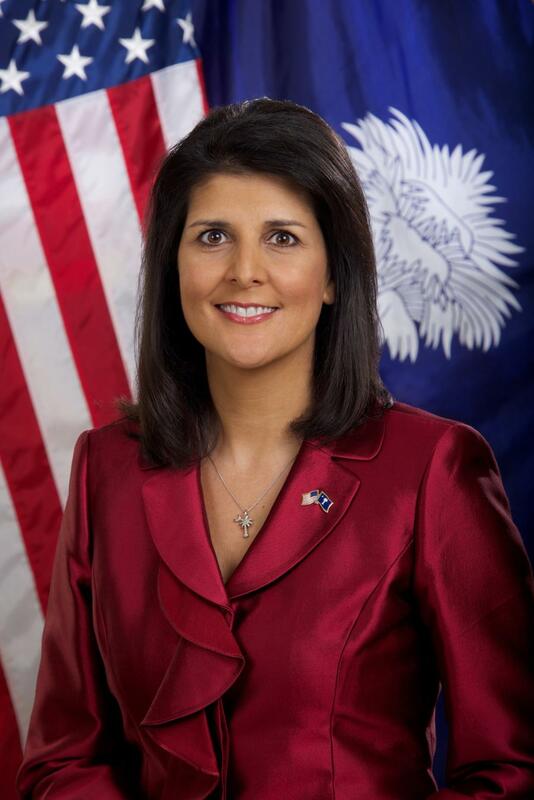 Haley spends $40 million toward replenishing sand along South Carolina's entire coast. The total cost of nearly $170 million includes $71 million in federal spending and $58 million paid by local governments. “Tourism is a big part of what we do in South Carolina. Having healthy beaches for people to come back to is important,' Haley said. She also sends $700,000 to the Department of Health and Environmental Control for additional dam inspectors. The rupture of dozens of earthen dams contributed to the flooding. Seven new inspectors would double the dam safety division's staff. Haley's budget does not provide any relief to farmers. Legislative leaders say the state must help farmers survive direct crop losses estimated at $376 million. Haley puts an additional $165 million toward increasing the “base student cost' by $80 to $2,300. That main funding source for schools is distributed to districts based on a 1977 formula adjusted annually for inflation. The state hasn't fully funded it since the Great Recession. Doing so would take $520 million more than Haley's proposing. Haley designates $20 million toward leasing or buying new school buses. Superintendent Molly Spearman has requested $34 million to comply with a 15-year replacement cycle law that legislators passed in 2007, then ignored. Haley's third-year education initiatives include $13.5 million toward attracting and retaining teachers in impoverished districts, $29 million to honor her three-year technology commitment, and $11 million in targeted technology spending in poor schools and home Internet access for about 10,000 students. “It's only good to have a tablet at school if you can take it home and use it,' Haley said. The executive budget sends an additional $113 million to local governments, fully funding the state's obligation for the first time since 2008. The money, distributed by population, would boost the “local government fund' to $325.6 million, as required under a 1991 law legislators have repeatedly suspended. The only state employees receiving a raise under Haley's plan are prison officers. Corrections pay is so low, officers are leaving to earn more in other state and local law enforcement agencies, Haley said. The proposed $8 million would increase officers pay by $1,500 on average. Her budget does provide $19 million for school bus driver salaries, to help with hiring in poor, rural districts. And it designates $96 million to cover slated increases in pension contributions, so employees won't see a decrease in their take-home pay.